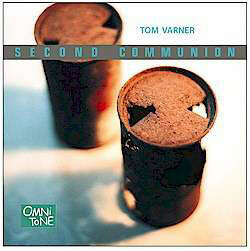 1976: At a time when Diana Ross, the Bee Gees and Elton John were hot on the charts, Tom Varner discovered Don Cherry's Complete Communion, a recording released a decade earlier. In hearing it, Tom realized his future. This was not the first time Tom had heard Cherry on record. A few years earlier, an enlightened English teacher and sculptor who played Charlie Parker records while reading James Baldwin to his classes turned Tom on to This Is Our Music, a now-classic Ornette Coleman record that included Cherry. On first audition at age 16, Tom "wasn't too sure about it." But only a year later and after considerable listening, an ad hoc blindfold test by Tom's friends of Coleman's "Moon Inhabitants" from The Art of the Improvisers (also with Cherry) blew Tom's mind. "It was like a hundred doors blowing open, a huge light bulb going off," recalls Tom. Hearing the unconventional way Cherry played his instrument helped Tom realize he could play jazz on the unwieldy French horn. "I was off and running," continues Tom, "trying to learn the jazz vocabulary while being aware of musical freedoms at our reach, and also trying to make my difficult instrument swing." As a student at the New England Conservatory, Tom heard Cherry as a leader in Complete Communion and, according to Tom, another light bulb went off. "[W]ith such beautiful melodies, some jazzy, some folk music-like, strung together in a suite, with everyone following Don's cues perfectly, with such freedom," recounts Tom, "It really made me want to have my own band." Like pan-musical missionary Cherry, Tom became an evangelist for extraordinary music -- the product of his thoughtful upbringing, secondary education, college training and his own inquisitive mind and ears. Born to dyed-in-the-wool "typical Midwestern" American parents and raised in suburban New Jersey, Tom started on piano at age eight and one year later switched to French horn. He studied at Oberlin College and then at the NEC, where he interacted with jazz originals Jaki Byard, George Russell, Jimmy Giuffre, Ran Blake and others. Since moving to New York in 1979, he has recorded several albums as a leader and has worked with such players as Dave Liebman, Bobby Watson, George Gruntz (in his Concert Jazz Band), John Zorn, Steve Lacy, Lee Konitz and Bobby Previte. Distinguished by both his playing and composing, Tom Varner has greatly expanded the rarefied "tradition" of jazz French horn initiated by Julius Watkins and Willie Ruff. "Now, all these years later, I just wanted to make some kind of musical 'thank you' to Don," explains Tom about this album, Second Communion, his tribute to Don Cherry, and his second musical adventure on OmniTone. To start, "Watts '56" considers Cherry as a young man whose life -- after listening as a teenager to Harry "Sweets" Edison and Fats Navarro and later playing Bird and Gerry Mulligan tunes with his buddies -- is changed on a very hot day in 1956 when he first meets Ornette Coleman in a Watts music store. It progresses, notes Tom, "from a children's song quality to a cool jazz feel to an Ornette/Don Cherry free tonality..."
Bassist Cameron Brown adds what Tom calls a "living link," especially on Complete Communion, a suite of five tunes, with interludes and a reprise of the first tune. Brown worked with Cherry, playing Complete Communion and many other Cherry tunes, first as a nineteen-year-old in Copenhagen and then many times in later years. "[Cameron] loaned me original music in Don's hand, and shared his first-hand ideas for the music," recounts Tom. "Cameron told me that at rehearsals Don would just play the tunes, they would follow, and that was it." And, recalling the knowing urgency of tenorman Gato Barbieri on the original recording, Tom exalts Tony Malaby for his "'human cry' rich tenor sound, grounded in tradition, but never afraid to take chances." To contrast with the rest of the album, Tom chose "Cherryco," a Cherry original recorded in 1960 and released in 1966 on John Coltrane and Don Cherry: The Avant-garde. "'Cherryco' has a kind of cool, soft, witty mystery to me, and I thought it would work great when harmonized for three winds. And Dave Ballou's cornet solo takes my breath away -- that's one of my favorite moments in the whole project." Says Tom about "Don's Big View," "I guess this was my 'looking at the totality of Don's life' tune. I know this sounds really corny, but I keep picturing Don flying over the world, and not in an airplane! Flying over Oklahoma, over LA, over the East Village, over Sweden, over Morocco, over Amsterdam, over West Africa, over China, over Oakland, over Spain." Tom's intent was for the guitar to be the flying instrument, and Pete McCann's execution of the role is full of airborne daring. Drum phenom Matt Wilson has been often compared to euphonic drummer Ed Blackwell, a long-time Cherry colleague. "What joy and humor, and a deep melodic swing, Matt brings to any musical situation," acknowledges Tom. At the very end of "Leaving Malaga," a piece Tom wrote while pondering Cherry's death (near Malaga, Spain), Wilson's percussion motifs "prevented the take from turning into an overly serious 'sadness-fest' and kicked it into a deeper place, a much more profound meditation," explains Tom. Beauty runs throughout this long-gestated collection of pieces, a beauty Tom has long felt inheres in his own sometimes maligned instrument, succinctly articulated in a quote by Cherry: "I felt that the trumpet was a thing of beauty in jazz." "A thing of beauty--he didn't talk about cool, cooking, burning hard bop or free jazz--he just said a thing of beauty. I love that, especially as a French horn player," admits Tom. "I guess it's where intimacy and musical directness meet."